With the release of the DK1 Multifunction dock, I am pretty sure this marks the end of the initial cycle of accessories specifically for the X series DAPs with the focus primarily being on the X7. I cannot guarantee there will not be any new and interesting ideas coming to the table for the X7. Lord knows I would love a few more interesting amps modules to come out beyond the AM3 but I do think this is about it, at least for now. The X7 ecosystem has now been in development for just over a year now so I actually think it is fitting they finish it off with something like the DK1. It adds a touch of class and style to an already very successful DAP solution. Docks for mobile phones and DAPs are increasingly commonplace now and, to be frank, I love them. They look the business on the table, can add plenty of additional functionality to your gadget and they are a great way to show off your source and integrate it right into your existing system. Docks range from the basic ornamental stand all the way up to the ludicrously overpriced PEM13 AK300 Series cradle at $349. Thankfully FiiO are true to their principles and launched the DK1 at a budget darling price of $19.99. With that, you get a dock in matching silver to the X7 that fully integrates not just the X7 but also the E17k, X1, X3II, and the X5II right into your system of choice. Not only that, but the connection is micro USB meaning the application for the dock could possibly work with other micro USB devices. Not bad for twenty bucks eh? 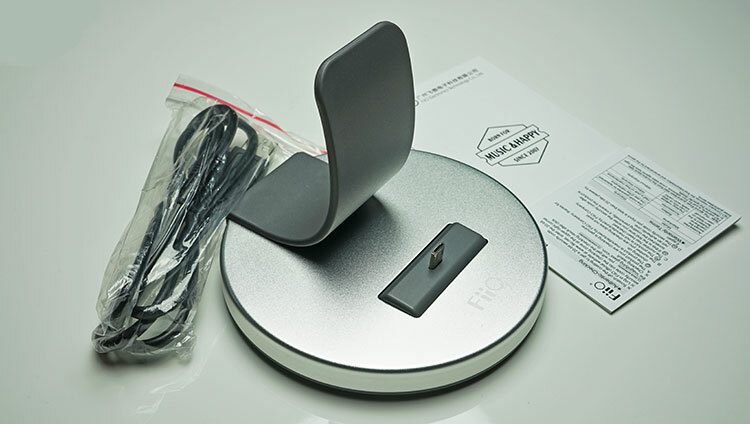 $20 gets you alloy, not plastics but a nicely curved and simplistic looking matte gray aluminum branded alloy base with a hard plastic curved backrest and a swivel 11-pin micro-USB connector protruding from the front of the alloy base. It has a certain ‘swoosh’ style to its form factor and although it is not the smallest dock I have seen it does feel sturdy. Beneath the dock FiiO has coated the base with a non-slip design rubber coating which grips wood, metal and glass pretty well even without any gadget in place applying additional weight. The rear of the DK1 houses all the inputs and outputs at the bottom of the base just below the backrest with a single line out jack and a balanced out jack that are controlled with a switch selector to the immediate left. Note this is a pre-production unit and I have been informed with FiiO that the balanced option has been taken out of the retail unit. To the far left as micro-uSB stage doubles up for power in to charge as well as DAC out functionality when the DAC functionality is selection on the X range of DAPs. Along with the professionally packaged dock, you receive a single micro USB to regular USB cable for connecting to your MAC or PC or even to a 5v USB-type AC charger and owner’s manual and warranty card. The form factor of the DK1 is such that the retail box is actually quite big compared to what you get but it’s actually one of FiiO’ nicest creations with all the right marketing statements on the front and a quick rundown of the key features on the back. Charging the X series DAP directly from the dock via the Power in micro USB. 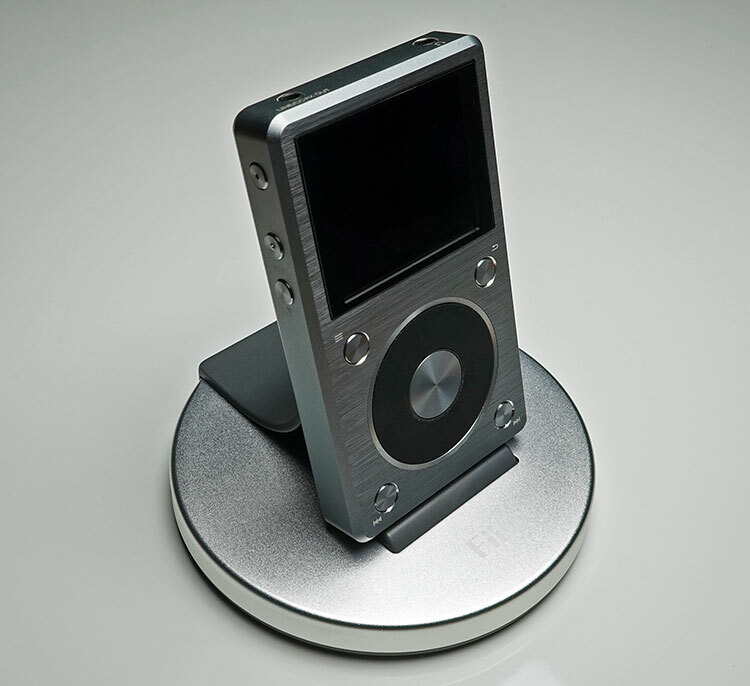 The micro-USB port is a rotatable design with a 25 degrees’ rotational angle to allow you to connect everything from the smallest (X1/E17K) to the largest X& DAP in the FiiO range. It will also quite nicely physically support my Blackberry Passport and any other smartphone with a central micro-USB port. 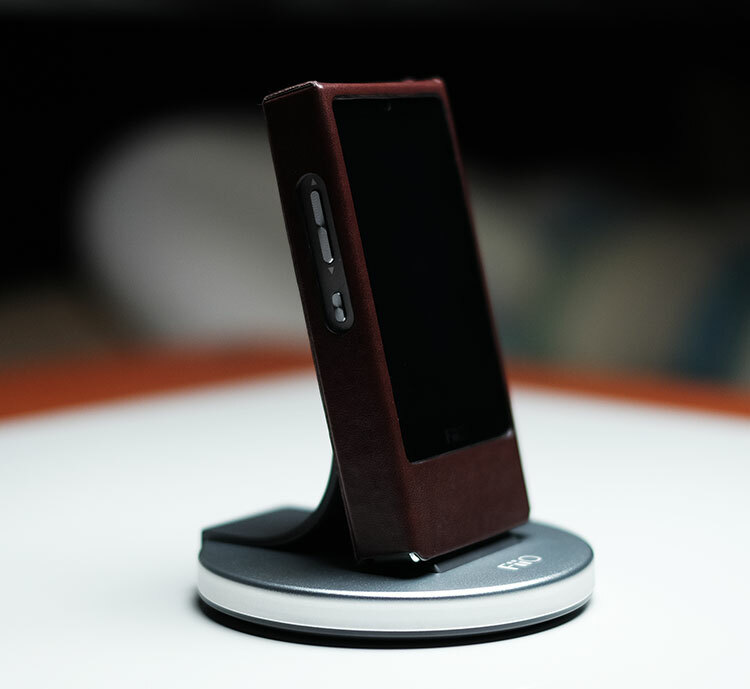 Sadly, nothing happened in terms of functionality or charging with the Passport and having tried it with a range of Android phones and DAPs it’s most likely the DK1 11-pin port will only successfully work with FiiO DAPs. I would love to hear though if you got it to work with any other device so please chime in. The DK1’s primary function is to “foster” the existing capabilities of your X series DAP, as well as charge and communicate via the PC or MAC. What it does, it does very well actually and there is little really to understand and learn before using it. 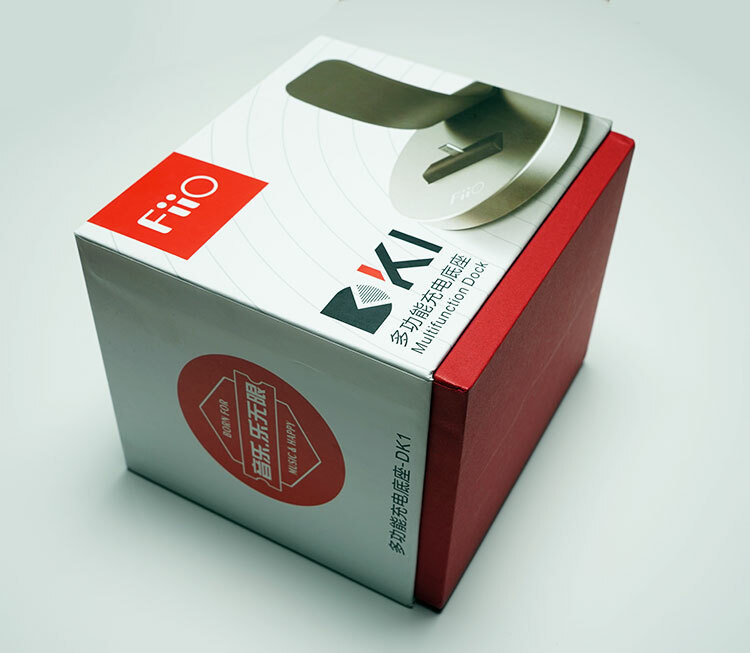 If you want something extra like amping, headphone out etc then the K5 from FiiO is a much better option but then again you will pay a bit more for that. In everyday use, slotting the X7 or X5ii DAP into the 11-pin micro USB slot does actually take a tiny bit of persuasion though. The swivel dock is fairly free in its movement meaning there has been the odd time I have missed the port or found myself physically exerting more pressure than I would like as the swivel moves around a little too easily. When trying to take out the DAP the base can often come along for the ride as well, meaning having to use both hands, one for pressure on the base to stay put and the other to release the DAP. What I do love about the DK1’s 11-pin swivel base is the fact I simply do not have to take off any protective leather or silicone case on the X7 or X5ii when connecting. That can be a huge source of frustration, particularly with smartphone and old iPod docks. Used in combination with the BT RM1 you have a very nice micro system with remote control that will deliver a quality signal to just about any amp be it speaker or headphone. It’s twenty bucks, it looks good, comes in a nice package and extends the core features of the X-series DAPs onto the desktop in a fashionable manner. It cannot get any simpler than that to be honest at this price point. It makes your DAP look good on the desk and combined with the RM1 you can sit back for the majority of any session and just click away on the X7 also without having to raise an arm. If I was being ultra-picky it would be to just tighten up the swivel connector a touch and make it easier to get a DAP in and out without the base lifting. I would also love to see a version 2 with BT functionality built right in, even if it meant the price would go up. 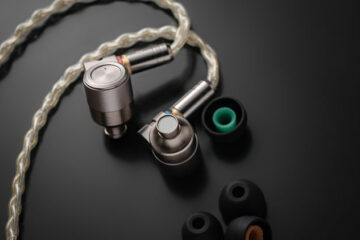 Perhaps this is where FiiO might consider as the “second wave” of improved accessories for the X-series DAPs? As it stands the DK1 is good value for what it is and an aesthetically pleasing way to top off the X-series DAP eco-system. has anyone tried this with smartphones yet? I guess you are using the AM1 module? I would suggest you upgrade to the AM5 module instead if you want more power and retain mobility. The DK1 is a dock, it won’t change anything other than prop it up nicely, charge the battery and do a line out function which you already have at the top of your X7 (coaxial/line out). Your other option is the K5 amp/dock which does all of the DK1 but adds an amp. No I’m surprisingly on the am5! So you think this is a defect? Plugging a headphone into the line out socket of an amp or DAP is very dangerous and could result in damaged hearing. The DK1 line out should go to a dedicated amp with a line in socket and the headphone into a headphone jack only. So what should I plug it into? 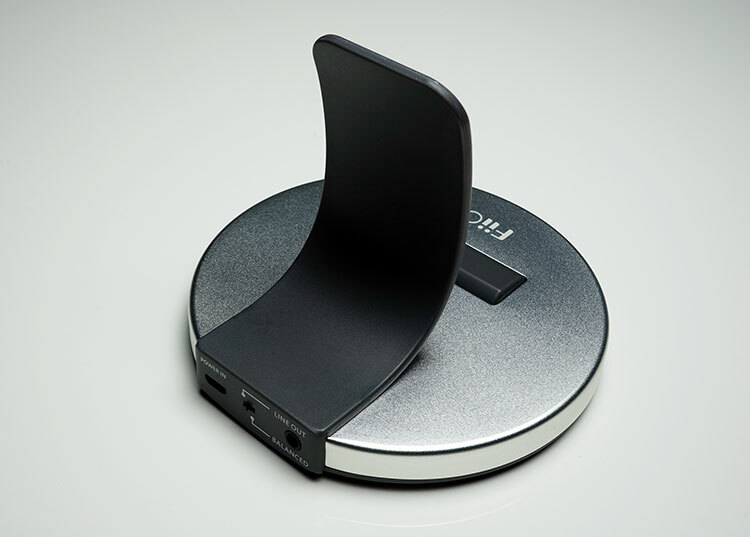 The purpose of the DK1 is to dock the X7 so its primary use is line out to an amp or charging via USB. You cannot use the headphone amp module output whilst using the DK1. That’s why I recommend the K5 or buy a portable/desktop amp. Otherwise plug the headphone into the bottom of the X7 (amp module) when not docked. Sad does not work with other devices (other brands) to charge the battery.